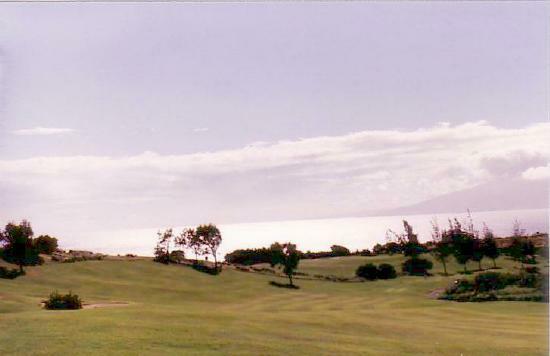 I had some serious golfing to do on Maui. 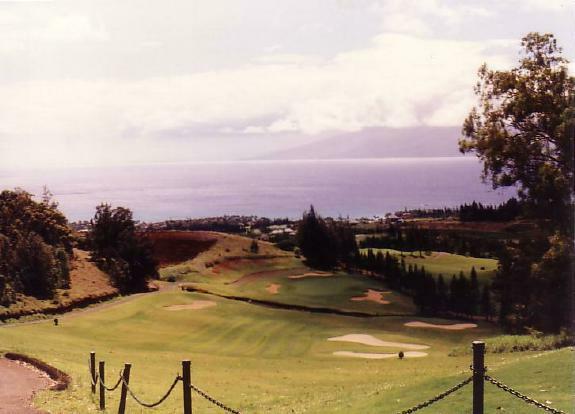 I played at Kapalua Village, Kapalua Bay, and Plantation and Wailea Blue. 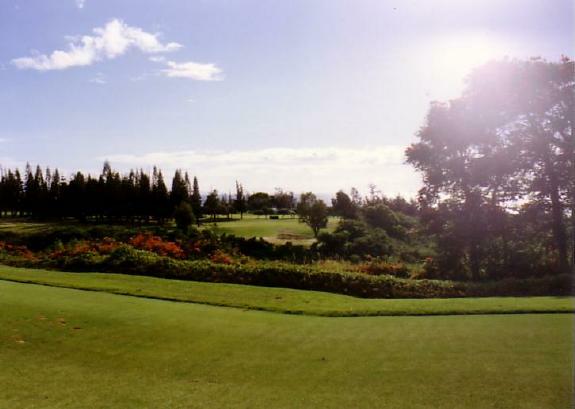 Narrow fairways and many hills make Kapalua Plantation an extremely tough course. 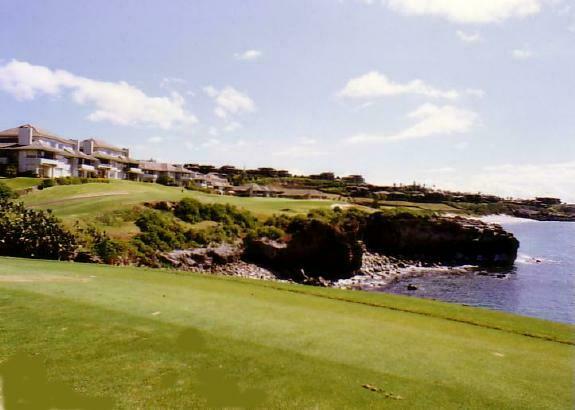 The Lincoln-Mercury Invitational pro tournament is held at Kapalua Plantation every November. I played with a young woman from Japan. I noted from the first hole that she was really good. 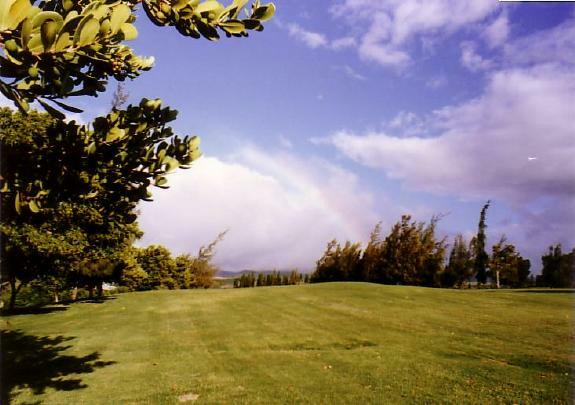 It turned out she was a teaching pro from a Japan country club. 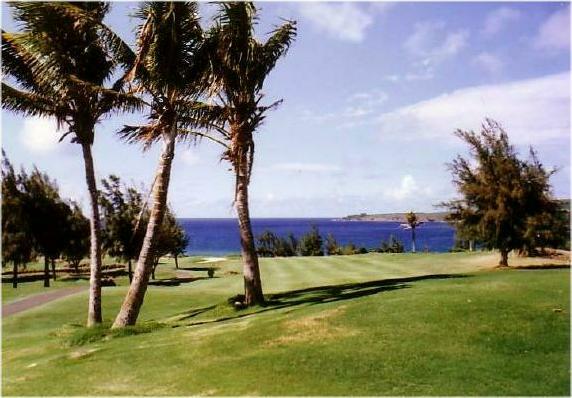 My favorite Kapalua course is Bay. Wailea Blue was much gentler and pretty with many flowering bushes and trees. 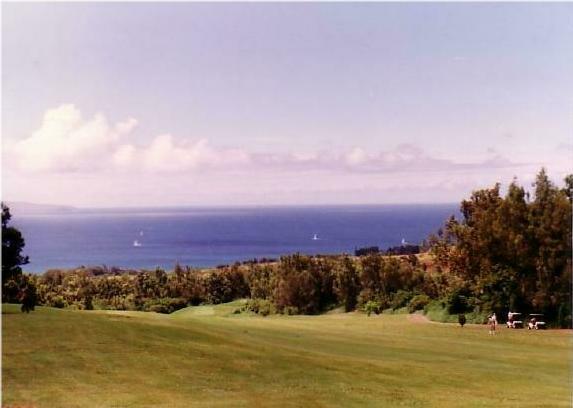 From Wailea, you could see Molokini island off the southern coast of Maui. 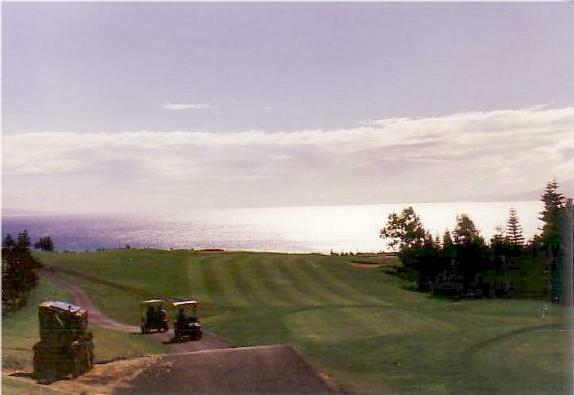 Unfortunately, when I played Kapalua Plantation and Wailea, I didn't bring my camera.